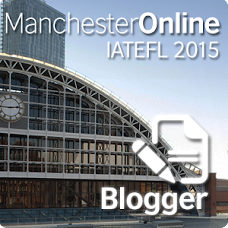 An interesting post by Charles Kelly on an ELT Podcasting course forum set off a chain reaction in me. He wondered about the idea of using student-created podcasts could help student listeners who needed to communicate a lot with English speakers of a particular country. The example he gave was business students, but I think it would also apply to students going to a particular country on holiday. English by German Speakers on Gigadial. I thought it would be cool to start to collect different flavours of international English to give learners of English. I'm hoping to encourage others to add podcasts (only German speakers speaking English please) to the station, and/or set up similar Gigadial stations for other nationalities. I've started this project by adding this episode of Nicole Simon's Useful Sounds. Can you suggest any more German speakers podcasting in English? I'd also like to ask people what they think of the project? I believe this tool is really useful. I work as an EFL teacher in Brazil, and I have some students who need to speak more to non-native speakers that native ones. Also, German happens to be one of the most common contacts these students have here! I will tell my sudents about this site and see what they think, but I believe it is extremely useful! I will add this link to my blog as well!